The weather has been cold these past few days and I'm sure many of us are basking in it while we still can, because March is fast approaching and with that, we all know that summer is nearby. We all need to start preparing our tropical outfits again and thankfully, Penshoppe just opened their biggest and all-new flagship store at UP Town Center! 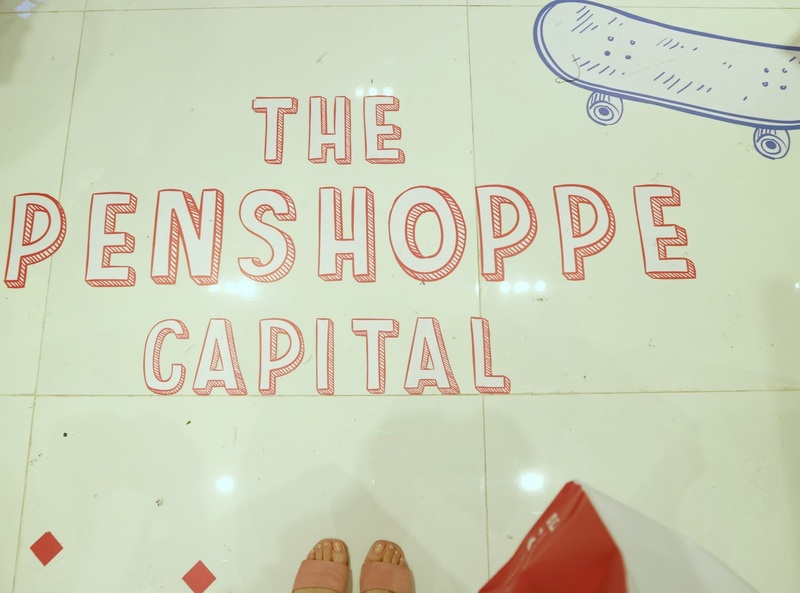 :) The new Penshoppe Capital a.k.a. summer destination for us! Penshoppe Capital at UP Town Center is home to Penshoppe's biggest selection of fashion pieces. From fresh drops to classic favorites like essential shirts and DenimLab pants, it will be the one place where anyone can go to see everything that the brand offers at a specific time. Along with the launch of the new store, the brand also has their 2017 Spring-Summer collection! Trying out these cute sunnies with Beb Ana! 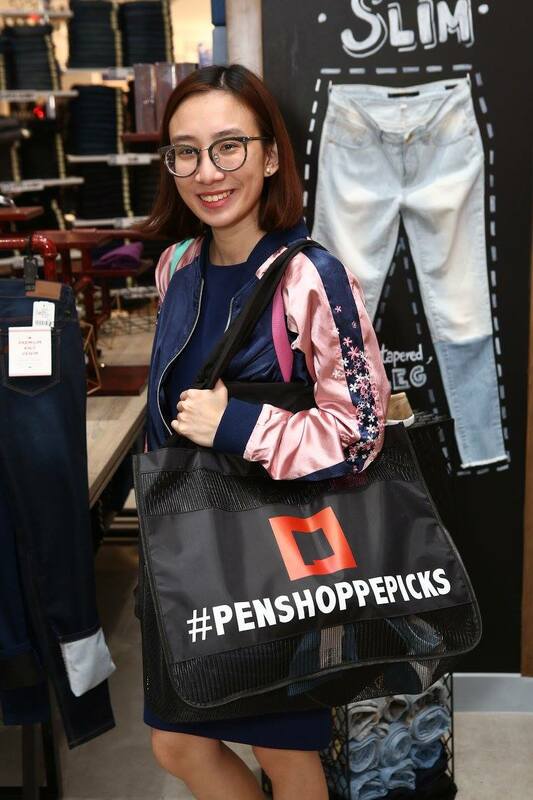 :) Also, wearing my fave Penshoppe Jacket! Shopping with the blog friends! Kelly, Trice, Mike, Michael and Ana! The collection covers mostly functional yet trendy pieces that are perfect for making the most out of your summer. With fashion inspired by the free spirit of music and arts festivals, the new collection features a myriad of summer staples that are given a fashionable update by mixing muted and neutral tones with subtle intricate details and dynamic tropical prints. Drop by the biggest branch of Penshoppe today, your new fashion and summer destination! 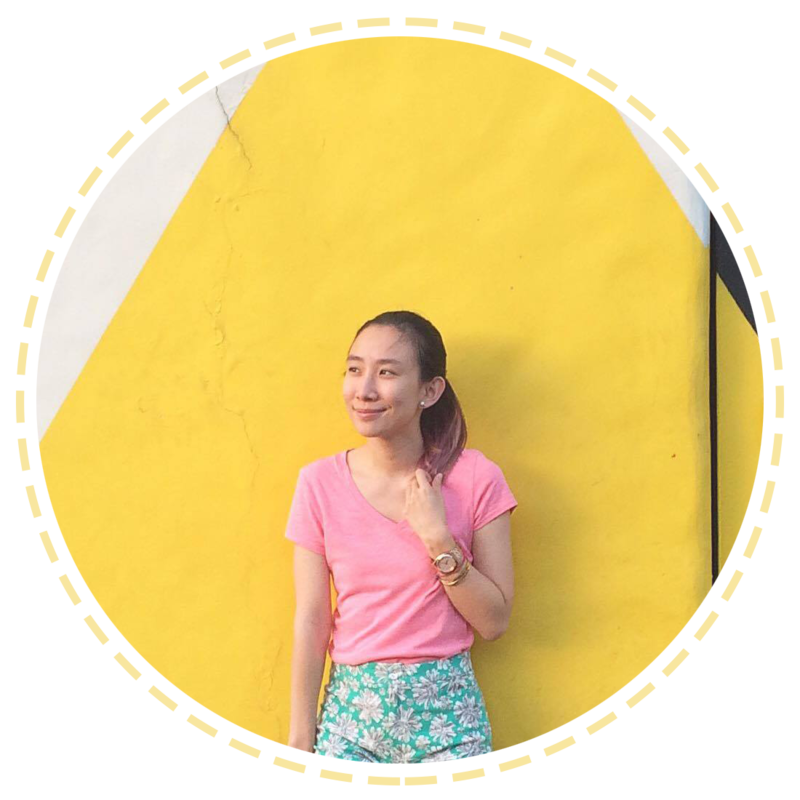 :) Head on to UP Town Center!